Merger isn't the most apt word. since what's happening is more of a temporary partnership between two leading arts institutions in the most institutionally minded city in the country. To wit, the National Gallery of Art www.nga.gov and Kennedy Center for the Performing Arts www.kennedy_center.org have combined forces to celebrate Edgar Degas' iconic sculpture "Little Dancer Aged Fourteen." An original musical based on the piece debuts in Washington (at Kennedy Center) Oct. 25 at the same time on ongoing exhibit is open at the former big league venue. What lay behind the collaboration is a sequence of largely unheralded events, beginning with director/choreographer Susan Stroman asking the show's writer Lynn Ahrens "What was she thinking, do you suppose?" 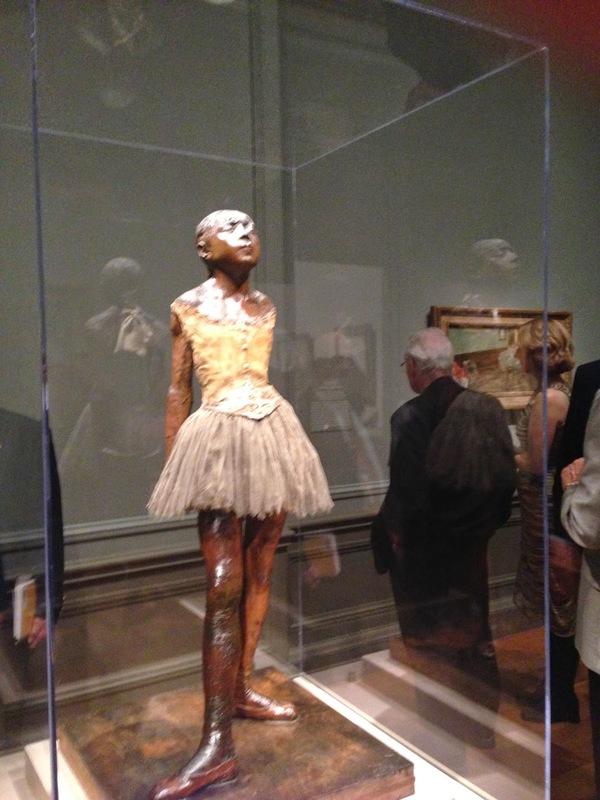 Deborah Ziska, NGA's press head, one year ago broached the possibility of timing the current NGA exhibit ('Degas's Little Dancer") with the world premiere of the musical (which the Kennedy Center is producing) and rallied the gallery's marketing team along with Dodge Thompson, the chief of exhibits who oversees gallery curators. Deborah Rutter, Kennedy Center's new president, in describing the musical as "a little bit of history and a little bit of magic," hailed the cooperative effort as "an example of what institutions ought to do." The gallery's exhibit runs from Oct. 5 to January 11 and is presented with several other objects from their collection, including an oil painting and a pastel from the Corcoran Gallery of Art.